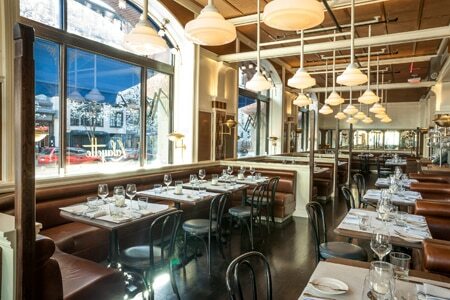 Chef Andrew Carmellini’s French restaurant is a NoHo hot-spot. Recommended dish: Black fettuccine with cuttlefish. Review and rating of Lafayette restaurant in NoHo. 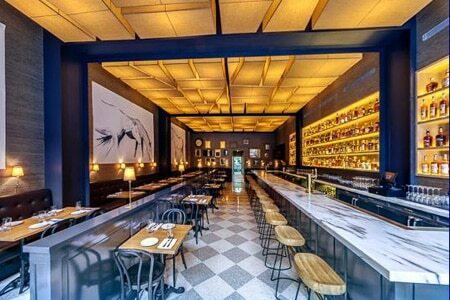 M. Wells sets up shop in MoMa PS1 to tantalize the taste buds of art lovers and foodies. Recommended dish: Beef cheek stroganoff with bucatini. 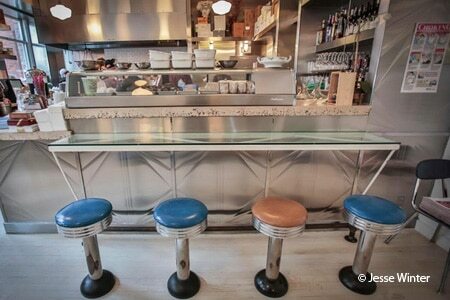 Review and rating of M. Wells Dinette in Long Island City. Inspired Southern fare in the Flatiron District from Kyle Knall, one of GAYOT’s 2014 Top 5 Rising Chefs in the U.S. Recommended dish: Brussels sprouts with pigs’ ears and a Bourbon-spiked aïoli. Review and rating of Maysville restaurant in the Flatiron District. Recommended dish: The Pat LaFrieda côte de boeuf steak. 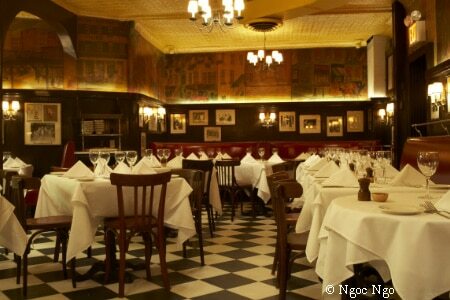 Review and rating of Minetta Tavern in Greenwich Village. A Mission Chinese Food spin-off that makes a run for the border. Recommended dish: Beef tongue tacos. 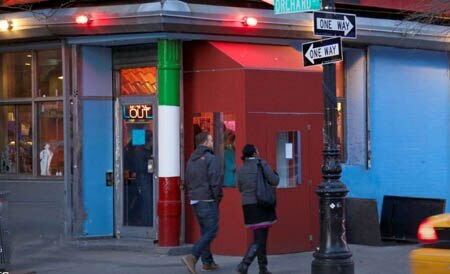 Review and rating of Mission Cantina on the Lower East Side.